Pampered Pets on a Budget | Will My Dog Hate Me? I love being able host deserving guest bloggers — emphasis on deserving. 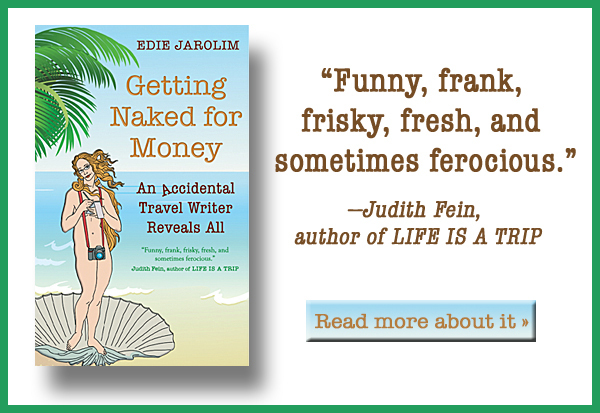 What better than to provide good content to my readers without doing much work? I’m especially pleased to share information about a useful new book without having to put in the time doing a book review. I’m never going to be less busy, so I’ve decided to make 2012 The Year of Delegating Responsibly. 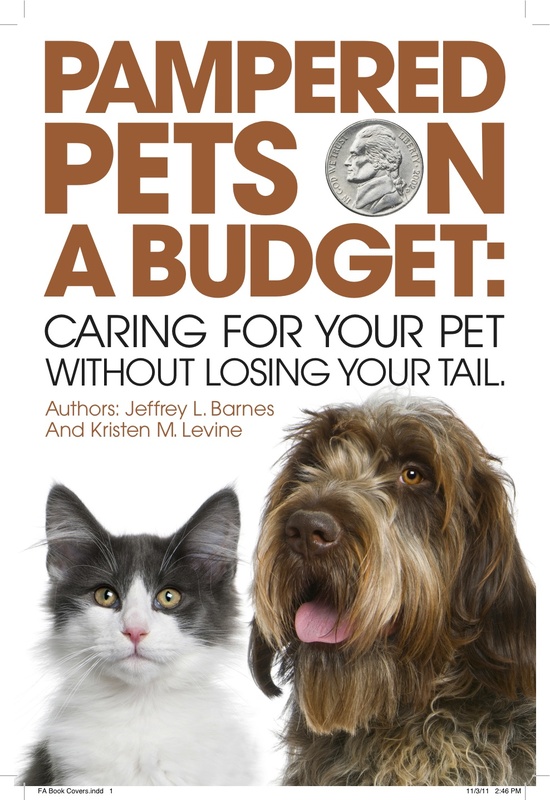 Without further ado, I’m turning my blog over to Kristen Levine, author of Pampered Pets on a Budget, available in paperback and Kindle versions. Greetings and Happy 2012 to pet parents everywhere! I don’t know about your pets, but mine are very happy the holiday season is over and things and routines are getting back to normal. Chilly, my two year old lab impersonator (mixed breed extraordinaire) and I just returned from a long road trip from Tampa, FL to Denver, CO — 4,423 round trip miles to be exact! See, I like to visit family in CO for three weeks each Christmas, but I certainly won’t leave Chilly behind for that long, and I wouldn’t dream of putting him in cargo on a commercial airliner! Fortunately, I am a proud member of Toyota’s P.E.T. (Pet Expert Team) — which means I travel the country in my Toyota Sequoia educating pet parents about pet safe auto travel. Here’s a recent article I wrote about pet travel safety for Petside.com. What does that have to do with the book I just published, Pampered Pets on a Budget: Caring for your pet without losing your tail? It illustrates that we pet parents are willing to go to great lengths to make sure our pets are safe, comfy, and having fun. And that we spend a lot of money doing so. Sometimes, more money than we should, or than we have. Many of you may be thinking about your 2012 household and lifestyle budget at this time of year. If you are, did you factor in pet expenses? You’d be amazed at how many people I’ve spoken to have a family budget, but forgot to include their pets. According to a recent survey of pet parents by the ASPCA, on average, it costs $1035 per year to care for a cat, and $1300-1900 a year to care for a dog (depending on size). Clearly, that should be factored into a family budget. Incidentally, I think those numbers are low, and as an avid pet blog reader, you may be, like me, a pet over-spender. So, here are some ways you can save on your pet budget for 2012, without compromising the care of your BFF. Now, add the totals up from the “must haves” column and go line by line to see where you might be able to save (see Savings Tips, below). Add up the totals from the “nice to haves” list, and depending on how much money you want to save or need to save, start eliminating! Take the items that remain, and think about how you can save there too. Talk to your veterinarian about exactly what you can expect to spend on wellness/preventative care for your pet in 2012. (Do NOT skip your pet’s vet visit to save money. This may cost you financially and emotionally in the future, if your pet becomes sick and you skipped the preventative or early treatment opportunity.) Once you have that “expect to spend” figure, set aside that money now, or a portion of it each month so that you will have it available when your pet’s vet visit happens. You might also look into pet health insurance as an option to cover you in the event of unexpected illness or injury to your pet in 2012. Purchase the best diet you can afford, in bulk. Bulk buying will save you money, approximately 20-25% on average. Store dry food in a sealable plastic container to keep it fresh. Shop dollar stores! During my research for the book, I found the following items at my local dollar store, litter box liners, litter scoop, plastic cat food dishes. For those costly one-time purchases of crates, pet carriers, airline kennels, cat condos or scratching posts, try shopping garage sales, flea markets, eBay, Craigslist or your local shelter if they have a retail center. If you’re adding a new pet to your family in 2012, adopt a pet to save big money! Pet adoption can cost anywhere from $25-$250 depending on the shelter or rescue group. Usually, adopting fees include spaying or neutering, vaccinations and a microchip. Purchasing a pet from a reputable breeder will undoubtedly cost you a lot more–hundreds of dollars for the pet (if not over a thousand) and $200-$500 for the initial veterinary care. The bottom line: When it comes to your health and well-being, you can’t afford not to have a pet. Pets give us so much joy on a daily basis and caring for them confers a dozen or more benefits to our health on us. So if you’re smart about your planning and purchasing you’ll be pampering yourself as well — on a budget. Bio: The founder in 2002 of Fetching Communications, the nation’s first marketing and public relations firm dedicated to serving the pet industry, author Kristen Levine is also a popular columnist for NBC Universal’s Petside.com and the Tampa Tribune newspaper. She has logged over 1,000 live television and radio interviews, including appearances on “Good Morning America” and ABC News Radio, and is frequent contributor to national pet and veterinary trade magazines. She is married and lives in Florida with her dog, Chilly, and a pair of miniature donkeys, Izzy and Willow. Great ideas for saving some money. With three large dogs, I’m always open to suggestions! And no way does it cost just $1300-1900 per year for dog care. Great ideas. I found a dog crate I wanted for Gretel and Goodwill. It retailed for almost $40 and I got it almost brand new for $7! That was last year but I have seen at least 4 of the same crate there since then. It’s amazing how what you need can “magically” show up at the thrift store. I would love to learn more about the Toyota PET Team. I have been a life-long 4-runner owner and criss-crossed the country many times in that car with my pets. I too wanted to know more about the Toyota PET Team and asked Kristen, who said that Toyota did not have a microsite up; she gave me the names of a few others who were part of the team. I’ll put you two in touch; maybe something will come of it! What town/city do you live in or near? The Toyota PET team will be appearing a many pet events in 2012, so if we’re coming to a town near you, I can let you know! I’m in Tucson, Kristen; Jessica is in Seattle. Do let us know if you’ll be in the area. Great tips – we need not sacrifice as pet parents, just be more budget conscious. Love the tips. It would be great fun if the GoPetFriendly team could meet up with the Toyota PET team since we have the same mission! Is there a place to find their scheduled events? Let me tell you about my super saver cost saving tip. Drive around a few neighbourhoods on garbage day. Things that I have found in excellent & usable condition – Pet beds, dog & cat collars, all sizes of pet crates, guinea pig/hamster cages, all sizes of bird cages, all sizes of fish aquariums usually with the necessary equipment. two of my crates that I use for the dogs are salvaged from the trash. In the pet store they would have cost me 80 to 100 $. I try to salvage dog cages and donate them to animal shelters when I have the room in the truck. If you don’t mind poking around in someone’s garbage and tossing the odd thing in the wash, you can get a lot of good stuff for the price of zero dollars! Great idea! That was actually par for the course in Manhattan when I lived there; people used to put out furniture and other stuff in the knowledge that someone was likely to come along and pick it up. Saved the hassle and charge of getting it carted away and people who knew where to look got terrific pieces for free.